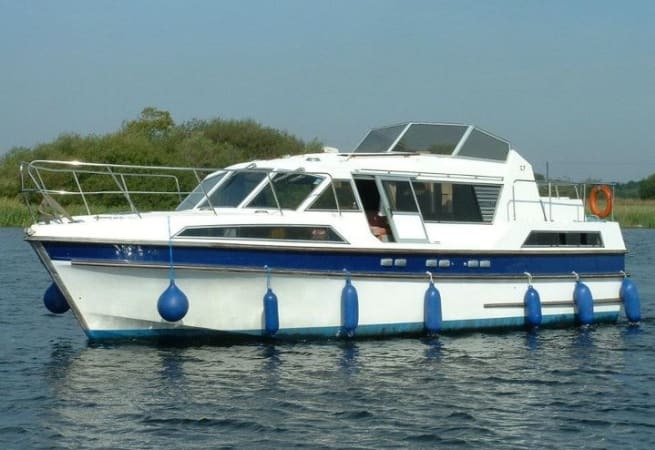 Clare a classic cruiser, designed and fitted to Carrickcraft's own specifications which is great value for six or eight people. 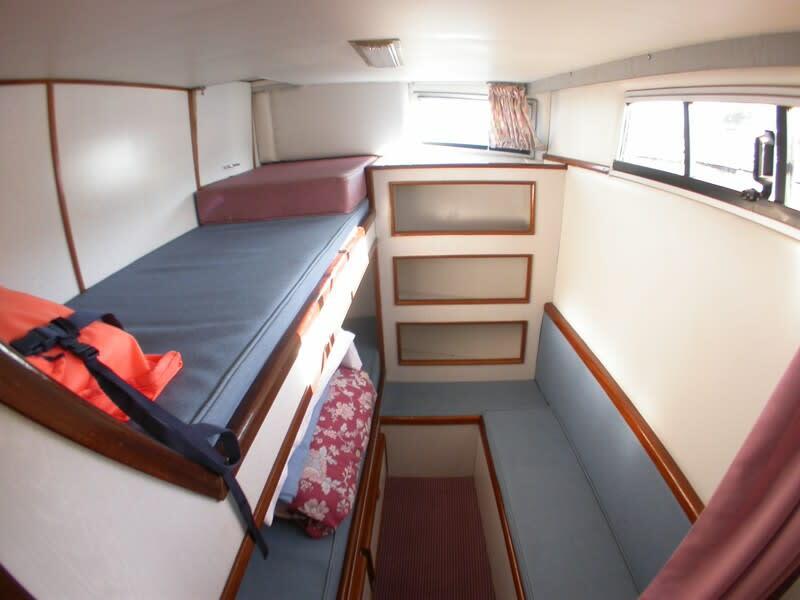 One double cabin, one twin cabin and one bunk bed cabin. 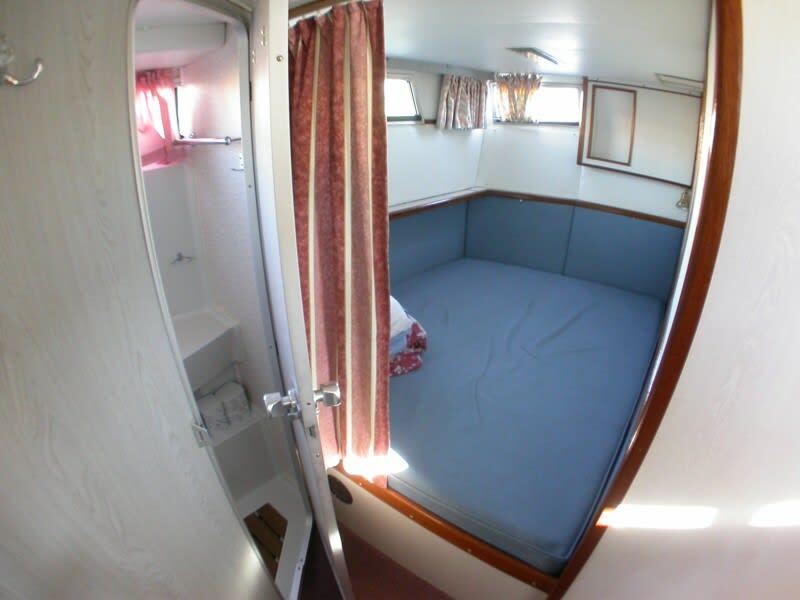 Bowthruster. 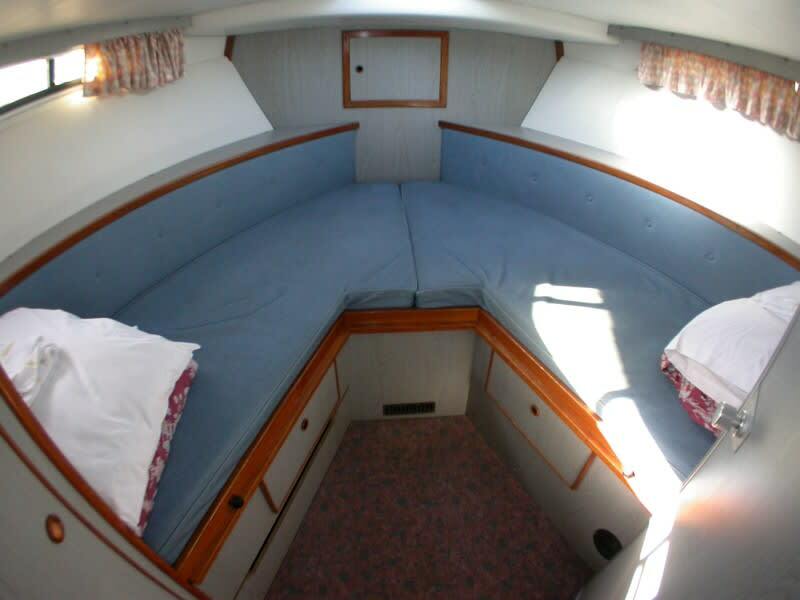 Features include a large sun-deck with all-around seating and dual steering from the flying bridge. 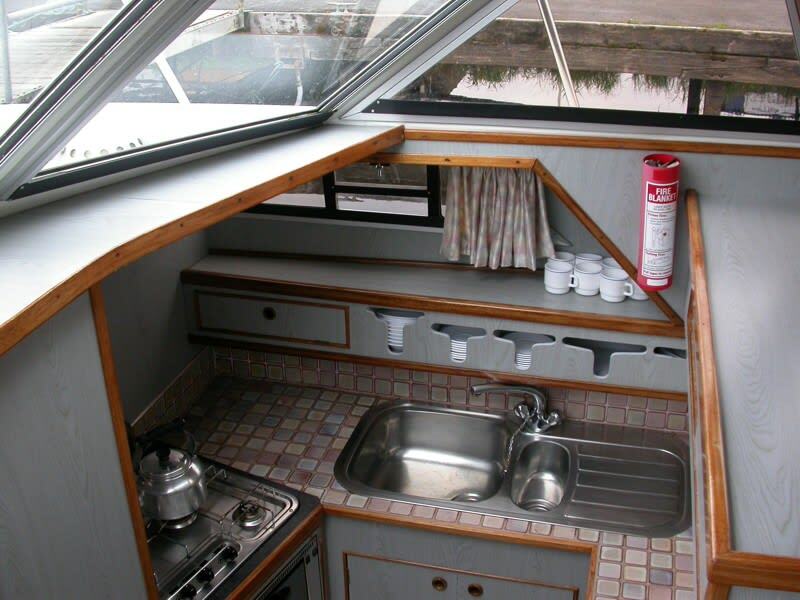 Steps lead up from the well-fitted galley to the impressive saloon with its large windows for all-round visibility, and the secondary steering position. 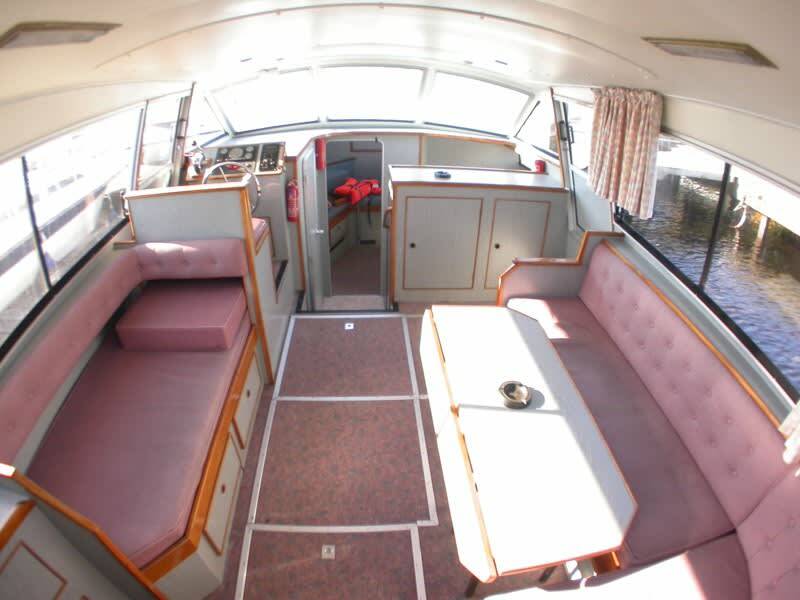 The Clare Class is fitted with long-range fuel tanks, which take sufficient fuel for up to three weeks cruising. 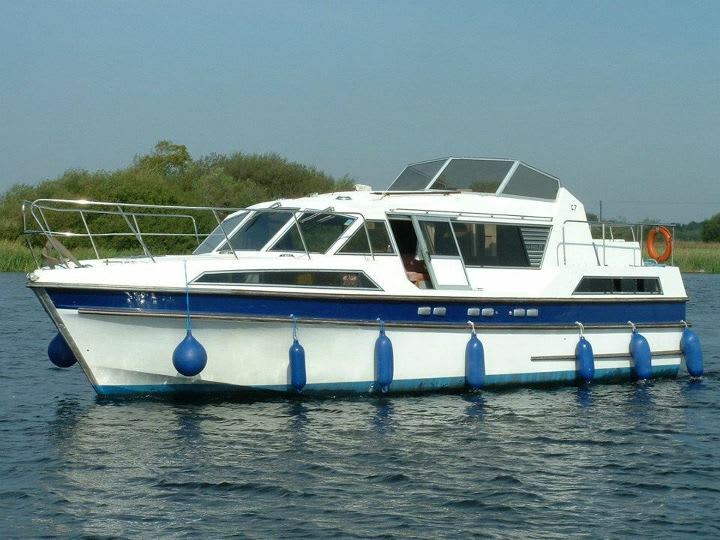 The Clare Class cruiser has a bow thruster for easy handling. 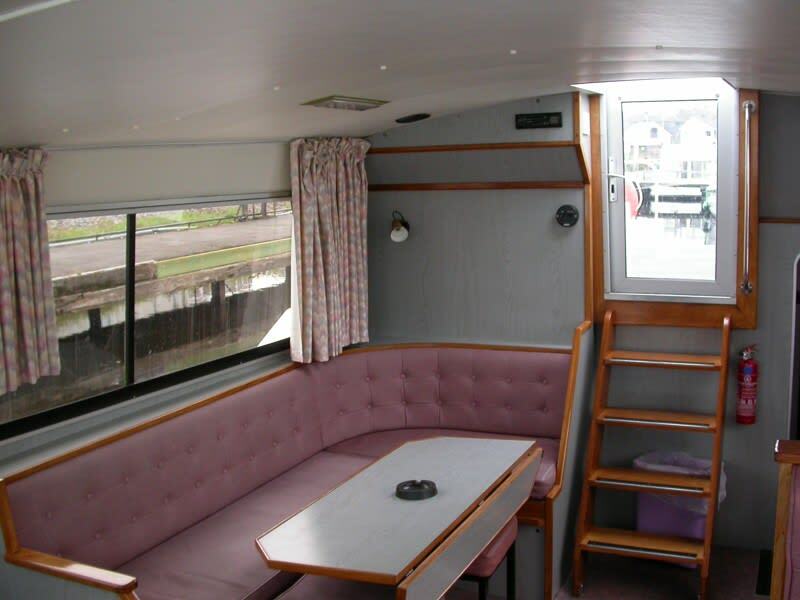 She is available for bareboat charters and costs start at £1000.00.